Both Modern Warfare 2 and Black Ops had expensive Prestige Editions (Xbox 360 and PlayStation 3 only) that came with a lot of extra goodies, including night vision goggles and remote-controlled cars. 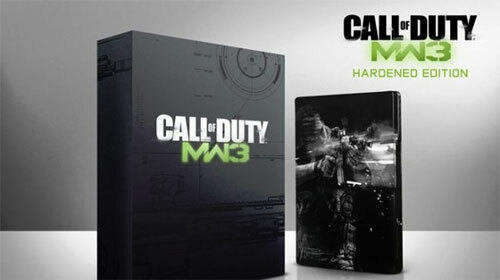 It seems that Modern Warfare 3 will be skipping the Prestige Edition this year.Robert Bowling: "The Hardened Edition of MW3 will be the only collector's edition available this year. "Don't worry though, the Hardened Edition still comes with nice extras, for example, the 1-year Call of Duty Elite premium membership includes ownership of all future MW3 DLCs. Click here to order one before they run out!